Updated at 4:30 a.m. EDT (0830 GMT) July 4. For the second day running, computers automatically aborted a Falcon 9 launch countdown Monday at NASA’s Kennedy Space Center in Florida in the final seconds before liftoff with the Intelsat 35e communications satellite. SpaceX said its engineers will spend Tuesday examining data and reviewing systems before trying to launch again Thursday or Friday. SpaceX chief executive Elon Musk tweeted to confirm there will be no launch attempt Tuesday. 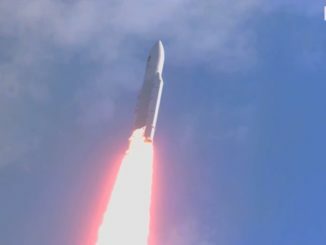 The trigger of Monday’s abort was not immediately known, but an unplanned hold at the same point in a countdown Sunday was caused by a software error during a final check of the rocket’s guidance, navigation and control instrumentation. SpaceX said they cleared that problem, and engineers pressed ahead with another attempt Monday to send the heavyweight nearly 7.5-ton Intelsat 35 relay and broadcasting satellite into orbit. Stormy weather to the west of launch pad 39A at the Florida spaceport delayed the targeted launch time 58 minutes to 8:35 p.m. EDT Monday (0035 GMT Tuesday), the end of the day’s launch window. 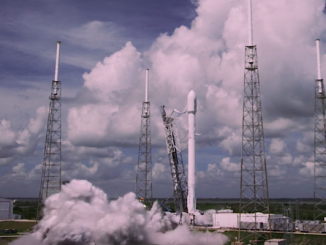 Using a computer-controlled automatic sequencer, the launch team loaded the Falcon 9 rocket with super-chilled, densified RP-1 kerosene and liquid oxygen propellants in the final hour of the countdown. 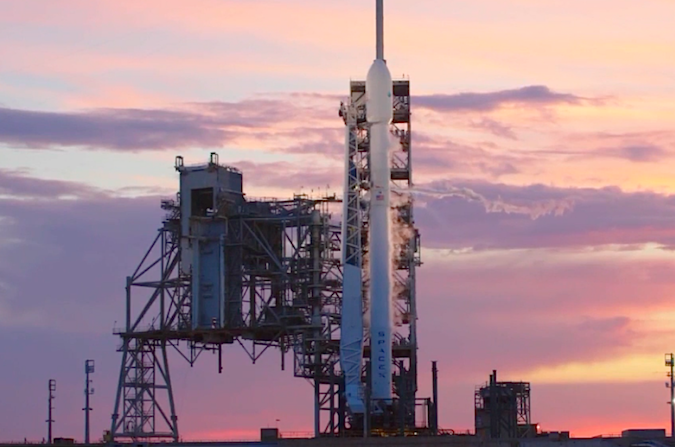 No technical problems were noted by SpaceX engineers as the final minutes ticked toward liftoff, until the countdown stopped at T-minus 10 seconds. 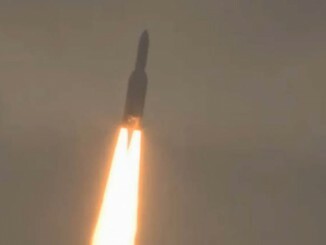 Without any time left in the launch window, the hold led to an automatic scrub. Engineers will comb through data to determine source of the problem, and identify a fix, SpaceX said. “We have all the telemetry coming off of the rocket, so we’ve got plenty of information, but they’re taking their time right now to understand what system they’re really looking at that would be the cause of the hold,” said John Insprucker, SpaceX’s Falcon 9 principal integration engineer, who provided live launch commentary on the company’s webcast. SpaceX initially said it could try a third day in a row Tuesday — Independence Day — to launch the Falcon 9 rocket, but officials said a few hours after Monday’s scrub that the next liftoff attempt would slip until later in the week. “We had an extended countdown today,” Insprucker said as SpaceX’s webcast signed off. “We had to wait for the weather, and we got to T-minus 10 seconds before we had a hold, once again, called by the automated abort criteria. “We were not able to recycle because we were out of the window,” he said. SpaceX is going for its third Falcon 9 launch in less than two weeks, and the second from pad 39A in that span. The Air Force-run Eastern Range was expected to be unavailable for launch operations for a couple of weeks beginning soon after the July 4 holiday. Intelsat’s senior vice president of space systems, Ken Lee, said additional engineers came to Cape Canaveral to prepare for the Intelsat 35e launch, and ground teams worked around-the-clock in shifts ahead of the Falcon 9’s first launch attempt Sunday. Once the Falcon 9 takes off with Intelsat 35e, SpaceX’s launch cadence will slow for a few weeks. The company’s next mission is scheduled to launch Aug. 10 from Florida on a space station resupply run.